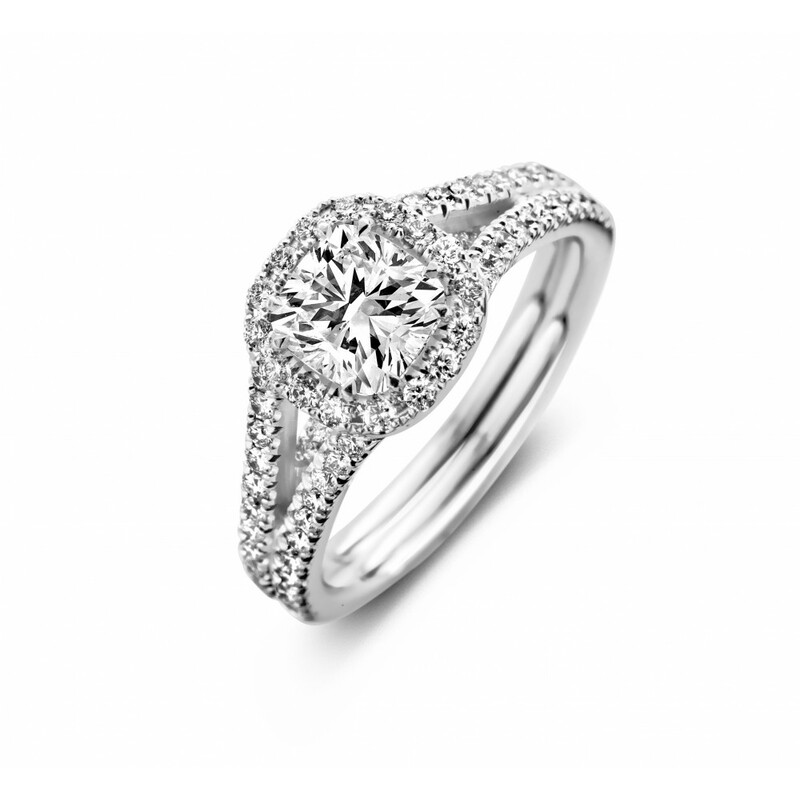 This stunning ring in 18K white gold will dazzle her. Papaver is designed to enhance the cushion shape of the diamond. 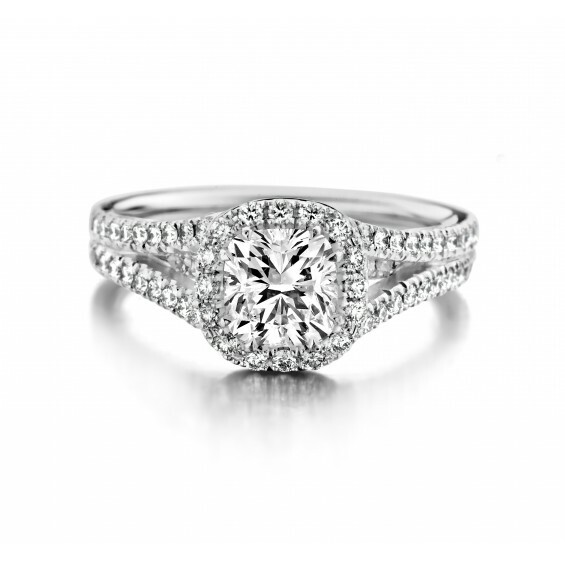 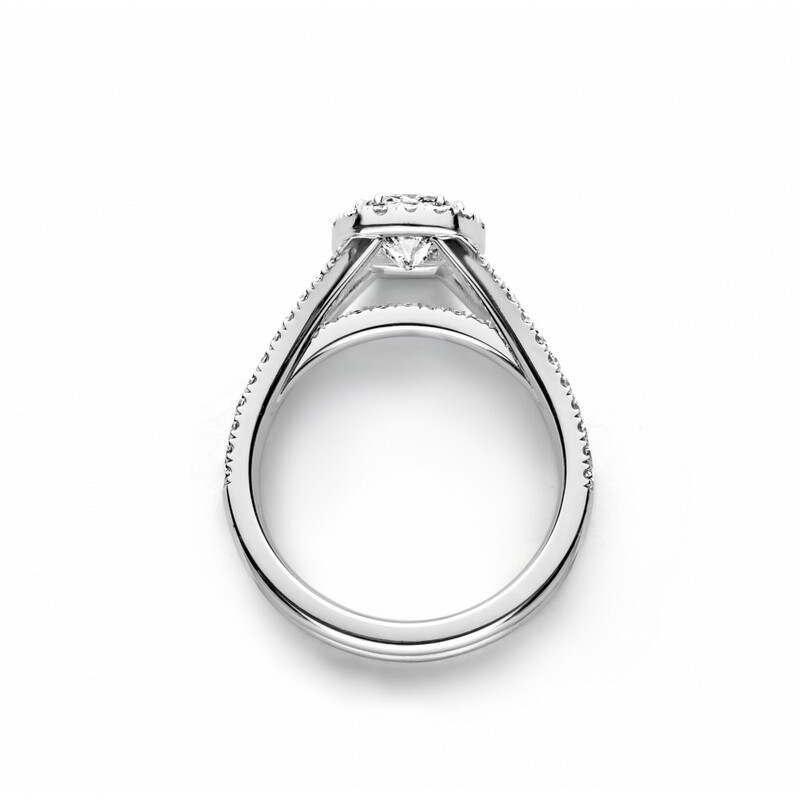 It's fluent lines are accentuated with the diamonds setted on the body of the ring.